“Premium spirits company William Grant & Sons, has commissioned international creative design agency, threebrand, to launch its new Ghosted Reserves. Part of William Grant & Sons Rare Cask Reserves programme, the ‘ghosted vattings’ will offer consumers the opportunity to access some of the rarest Scotch whisky stocks, from distilleries no longer in operation. threebrand’s remit was to design both a label set and secondary packaging to complement the unique story of the Ghosted Reserves. Both were to be premium and tactile. “The typography used was clean and reminiscent of the era in which the distilleries, from where the whisky was sourced, were operating. 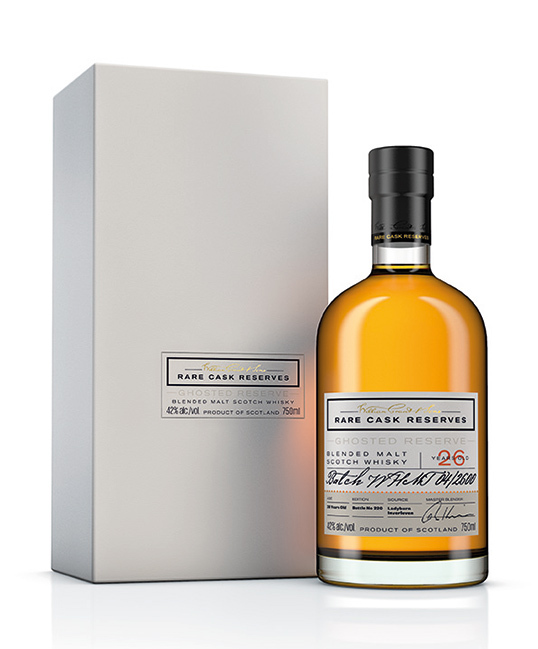 The first Ghosted Reserves release, a 26 year old, 42% abv, is a vatting of malt whisky from Ladyburn, a distillery on the site of Girvan that closed in 1975 and Inverleven, which closed in 1991. 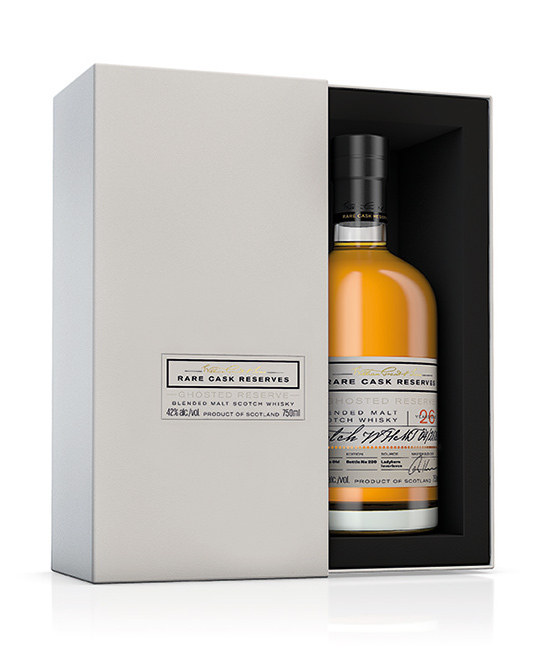 Just 1,400 bottles will be released in global markets at a RRP of £300 for a 700ml bottle. Deirdre Clarke-Glennon, Global Marketing Manager at William Grant & Sons, commented: “We are delighted with the final Ghosted Reserves design.